Are you wondering how to make money online in New Zealand? Me too! Do you want a simple way to make extra money from home? Getting paid to do surveys is an easy way to earn extra money. Just want a quick recommendation? I’ve had the most success with Valued Opinions , Opinion World and Toluna. To increase your chances of success, I recommend joining all three. I’ve recently started to get into online surveys for money as a way of making extra money for my family. It’s truly one of the simplest ways to make money online in New Zealand. This list of the top paid surveys NZ has to offer is for those of you looking for ways to make extra money in New Zealand. Completing paid surveys online can be an excellent way to earn money from home in New Zealand. You can apply for surveys from the comfort of your own couch and there is real money at stake. You won’t get rich, but by completing surveys for money, NZ Mums and Dads can definitely earn a few extra dollars to help with the groceries. There are many options for online survey companies in New Zealand but not all are equal so this post aims to cut through the noise and show you the best surveys for money in New Zealand. Below is a list of websites offering surveys for money in New Zealand. I’ve listed the survey company and website address as well as any extra info I can find. Some of the best survey sites offer vouchers as rewards and some allow you to take online surveys for cash which can be redeemed via Paypal. Note – I’ve only included the best online surveys in New Zealand. The list below contains websites offering real surveys that pay you. I now complete online surveys for money whenever I have a spare moment and don’t feel like working on the blog. For me, doing surveys on the couch is better than scrolling social media and helps get me to my big life goal of financial freedom! So rest assured, the below list contains the best options for NZ surveys and I’ll keep updating the information as I take more surveys. But please remember, this is only my opinion. Each survey company is different so check them all out to see which suits you best. I’ll keep this list updated as I spend more time completing surveys for money and let you know what I come up with. I’ve also added some tips on how best to frugally utilise any rewards, so you get the most value for your time. Rewards: Vouchers from JB Hifi, Mighty Ape, Farmers, Rebel Sports, Hoyts and Subway. Valued Opinions are a brand of Research Now, a top worldwide market research firm. Valued Opinions is the best choice if you want to take surveys for vouchers, as they offer a wide range of redemption options and surveys are plentiful – I get at least 3 a week but your results may vary. 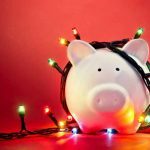 Best for: Saving your credit and using it for Christmas or when the kids need clothes in the Farmers sales. Rewards: PayPal (aka cash money) and vouchers including The Warehouse, JB Hi-Fi, and Fishpond.co.nz. OpinionWorld is an online survey panel operated by Survey Sampling International(SSI). SSI has been around for over 40 years and 3,000 companies worldwide trust SSI to gain insights for growing their business. OpinionWorld is the best option for those who want to take online surveys that pay cash. In addition to regular rewards, OpinionWorld runs quarterly competitions for a $2000 cash prize. To be eligible you must have taken a survey in the previous quarter. More info is available on their website. Best for: The PayPal option means you can access your rewards for everyday spending. That said, I’d be quite tempted by The Warehouse vouchers for back to school and their grocery items. Rewards: There are tonnes of options for rewards with Toluna, including vouchers from almost any retailer you can think of and PayPal cash rewards starting at $10. Yes, that’s right – Toluna allows you cash out your rewards from $10. It’s rare to find a survey company with a low payout threshold, so I’m delighted with this. No more forgetting about survey balances! Best for: I’m going to say the $10 PayPal payout worth 20,000 points is the best option. Gift cards valued at $30 for The Warehouse and Farmers starts at 60,000 points, so there is no incentive to continue accruing points after you have enough for the $10 PayPal payout. If you want to make money from home, NZ surveys online are a legit source of extra income and The Panel Station offers a lot of different online paid surveys. The Panel Station takes fourth place in our list of paid online surveys due to ease of use. I especially like how easy it is to sign up with them, as some Kiwi survey companies require a lot of information before you can even have a look at the website. Not so with The Panel Station. Best for: The Panel Station offer cash with Paypal. You can swap 8000 points for $40 – nice! Nielsen Digital Voice is a simple way to share your opinions in New Zealand and be rewarded. Nielsen Digital Voice differs from other online Kiwi survey options as you are required to install a piece of software. You then continue to use the internet as you normally would and the software tracks your internet usage. That information is used to identify trends in consumer behaviour. You are rewarded by Nielsen for taking part. Nielsen Homescan is a simple way to share your opinions in New Zealand and be rewarded. Whilst not technically an online survey, I wanted to include this option as it’s a very simple way to earn gift cards and prizes in New Zealand. After you sign up, you will be sent a handheld scanner in the mail. You will need to scan the barcode of each item you buy and enter the price into the scanner. Once a week the information you have entered is transmitted to Nielsen’s head office. Your account is credited with points which you can use to redeem a range of items from a catalogue. Best for: Since there is no direct cash payment, using Homescan points for gifts and special occasions is your best bet. Now, this is a different kind of survey option that Kiwis can participate in. Respondent is actually an online focus group site, and they are actively looking for participants in all industries to participate in focus groups. The best thing is – they pay cash via Paypal and in US dollars! Boom. These take a little longer than regular online surveys but the pay is GOOD. I was offered a marketing panel paying $65USD for 45 minutes when I last logged on – which is amazing! Unfortunately, the toddler had other plans so I wasn’t able to participate but I’ll be keeping a close eye on this site. Sign up is simple, they do require a PayPal address and all the usual info but it’s nothing too intensive. Just make sure you’re accurate about the description of your work as that’ll determine the invitations you get. Rewards: You can either cash out with Paypal (once you’ve hit a minimum of $25 balance) or receive a fuel discount with AA Smartfuel from $2.50. Pureprofile are a worldwide organisation with a presence in New Zealand. I love how simple Pureprofile is. Their website is mobile-friendly (so you can take surveys from anywhere) and looks great. I spent 30 minutes going through my feed after setting up my profile and made $2.85 just from answering questions about myself which also builds a stronger profile and increases the likelihood of getting the right surveys. I think that’s pretty good going! Best for: Cash via PayPal, unless you are a big petrolhead and prefer fuel savings. Rewards: Cash out with PayPal or redeem points for gift vouchers from Dominos Pizza, iTunes, Hoyts, Ticketmaster and more. My Opinions is one of the most popular online survey panels in New Zealand. To make the most of My Opinions make sure you fill out as much information as possible, having a complete profile ensures you get matched up with surveys more frequently, so you’ll be able to earn cash and prizes. I prefer the cash option with PayPal, but being able to redeem a voucher from 1000 points means you can access your rewards sooner if it takes a while to build up your tally. I’m currently trying out Perceptive Panel – so far so good, but I’ll be sure to update this post once I’ve reached the payment threshold. In my research, I came across heaps of sites that had dodgy-looking home pages and I didn’t even want to give them my email. I have not included those sites (most weren’t NZ-specific, anyway) on this list. I’m still an active member of all of the survey sites listed. Be honest. Each time you apply for a survey you’ll answer qualifying questions. Most paid surveys NZ prefer to deal with real people so they can share honest opinions on products and services. Honesty is best here, in order to continue to receive offers, answer questions truthfully. Remember paid surveys aren’t an income replacement, they are a way to make extra money, so while you won’t get rich, the extra few bob is more than welcome. A great additional source of income for those who want to work from home, NZ paid surveys are an excellent way to add cash flow to your household while building up a work from home business. I hope this article has helped you understand your options if you want to get paid to do surveys online. I’ll continue to add to this list as I complete more paying surveys online. Have you tried any paid surveys in New Zealand? Any tips for success you’d like to share? I did Valued Opinions for a good couple of years. I always went for Farmers vouchers and used them at the 50% kids clothes sale. I also did Smile City, not sure if that is still around, they used to send you a cheque! Hi Emma. Q – how did u compile this list? I have looked up reviews for a few sites u suggested and all the ones I looked up had terrible reviews. Pore profile and my opinions were considered scams by almost all of the reviewers. Just curious ? My top 3, from personal experience are Valued Opinions, Opinion World and Toluna. But the others are all legit. I wouldn’t have them on here otherwise. I am a nervous Superannuant who would love to give this a try. How much time would I have to spend on these surveys before turning a small profit. Hi Cheryl, I find my time on most survey sites ranges from $6-$10 per hour. I have the most luck on Valued Opinions, where I can get surveys worth $2-$3 which take about 15-20 mins. You really won’t know until you try them though. Definitely set up a dedicated email address, that way you can just give them a go and they won’t flood your inbox. I’ve been with Valued opinions, Opinion world, Tipuna and Pure profile for about 2yrs absolutely love them! Only downside about Toluna is it can take up to 6wks for payment. Ive also there $100USD weekly draw which was deposited straight away. Thats changed now though. I also had a home visit from a Pure profile rep who talked to me about my last shopping experience at the warehouse, 1hr 30min got paid $150 cash after she dropoed me home from the warehouse. Lately I’ve been doing Perceptive panel which I love! They pay out first 5 days of every month (I usually have it in my PayPal by the 2nd day) at $10 each time. Ive managed to get atleast $10 a mth from them. They charge you $10.05 when you cash out $10 but it doesn’t worry me. They pay out awesome!